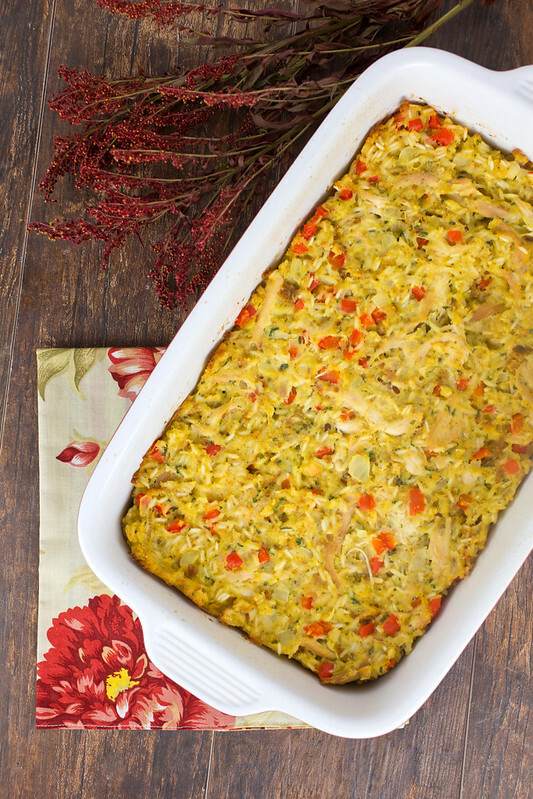 One of my favorite things to cook during the fall is casserole. It’s so easy to throw the ingredients in a dish and put in the oven — the perfect weeknight meal! When planning our meals last week, I wanted to try something new, and this Chicken and Stuffing Casserole sounded *so* good. 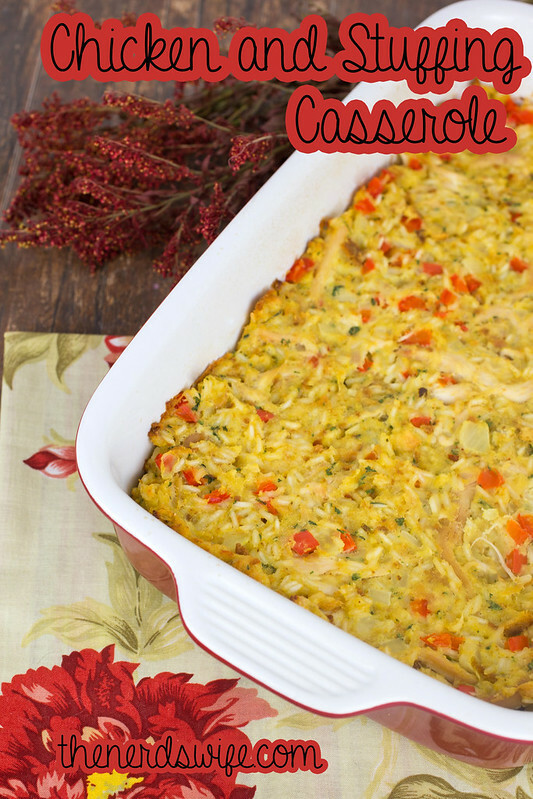 Plus, you could substitute left over turkey for the chicken in this dish as a way to use it up after Thanksgiving. With the stuffing and rice mixture, it’s filling and delicious and you definitely need to try it. Bring one cup of water to a boil. Add in the pepper, onion and rice. Reduce heat to low, cover and let sit for 20 minutes, until rice is done and vegetables are tender. Preheat oven to 350 degrees. In a large bowl, mix together the remaining water, stuffing, meat, eggs, soup, and rice mixture. Grease a 4-quart baking dish and spread the mixture into it. Bake for 35 to 40 minutes until heated through and the top is golden brown. Cut into pieces to serve. It was also the perfect opportunity for me to use my new Lodge Cookware and Bakeware from Market Street. All of the pieces are extremely versatile, and would make excellent gifts for the holidays. The Bakeware dishes are designed to go from oven to table and are perfect for everything from every day entertaining to special occasions. 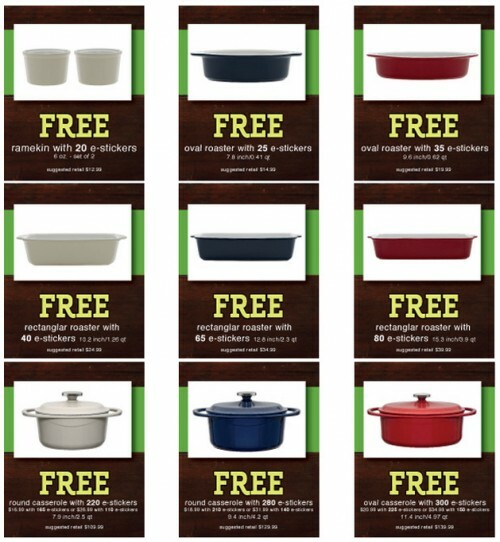 The Cookware is made from Enameled Cast Iron that is beautiful, durable and retains heat extremely well. Now through Jan. 6, 2015, you can collect e-stickers to redeem for pieces of the Lodge collection. Guests will earn one e-sticker for every qualifying $10 ticket spend. Track your e-stickers on your receipt, on the Market Street mobile app, or online. When you have earned the required number of e-stickers, simply select your desired cookware or bakeware and give your Rewards account number to the cashier at checkout to redeem your FREE item. 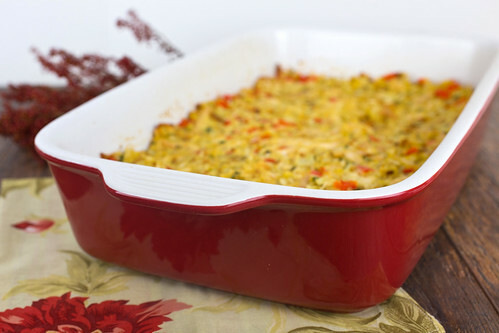 Do you have any favorite casserole recipes? That looks delicious and I love the Lodge casserole dish. I’ve been looking for some more good casserole recipes! This one definitely just made the list! Yum, yum, yum. I grew up eating a lot of casseroles (what big family didn’t!!). This sounds way better than anything my mom would have made (sorry, Mom!!). I grew up on casseroles. I think my favorite is chicken, rice, broccoli and cheese. Lodge has bakeware? We buy their cast iron, totally going to have to check that out. This casserole sounds yummy! The cookware is beautiful.. Your casserole sounds like just the perfect comfort food for a cold night. Holy Moses, that looks AMAZING!! Bakeware like this is one thing I’m missing completely from my kitchen. I’ve been avoiding making casseroles and the like (even though they’re my favorite) because of it. This looks super tasty. Any time you make something in a casserole form, it’s a winner. I love casseroles. This looks so good! Sounds like the perfect meal for my family. Saved it in my must try pins for next time I do up our menu plan. This sounds so yummy! I will have to try it. Your cookware is beautiful. 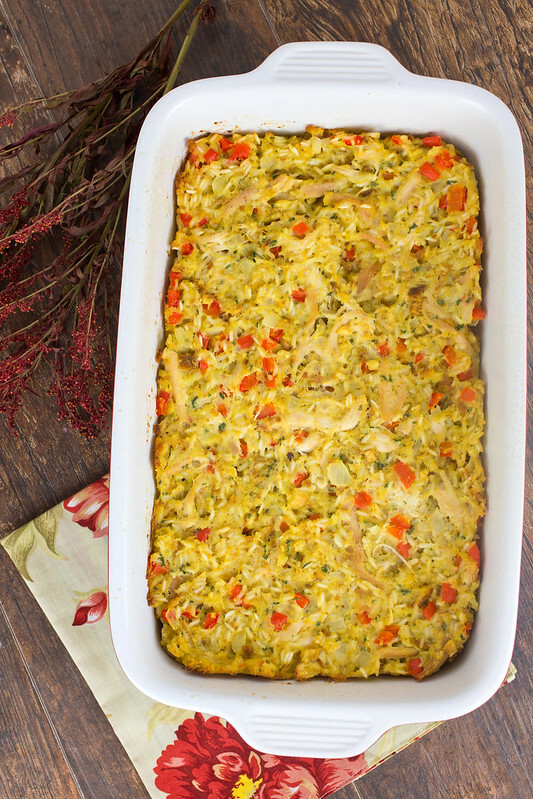 This casserole looks like it would be awesome for Thanksgiving dinner. Some favorite recipes in a casserole dish would have to be tuna casserole and also baked chicken with cream of mushroom soup and rice. YUM. This looks really good, going to have to try this one. That looks absolutely amazing. I’m a firm believe in casseroles. They’re always a winner. 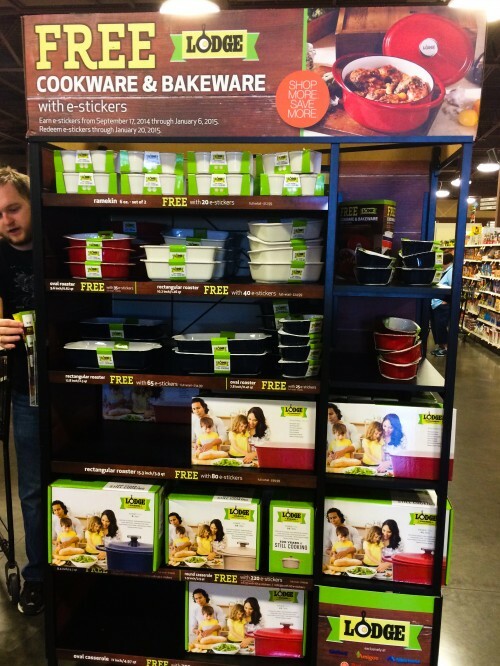 I LOVE Lodge cookware and I want it ALL! I would also love some of that casserole. I’l be right over. This looks so good, and is a perfect simple weeknight meal! I love casseroles. Thanks for sharing this delicious recipe! I have an unhealthy obsession with cookware. I want it ALL. All the things! Also this recipe looks amazing. I want to make it this week. Casseroles are my favorite thing. Tim isn’t a huge fan but if he doesn’t like it he can cook. (How you like them apples Tim). Oh that sounds so good! It was 90 degrees here today but just looking at that yummy casserole makes it feel like fall. I’m a huge casserole fan anyhow, but this looks fantastic and I MUST try it!